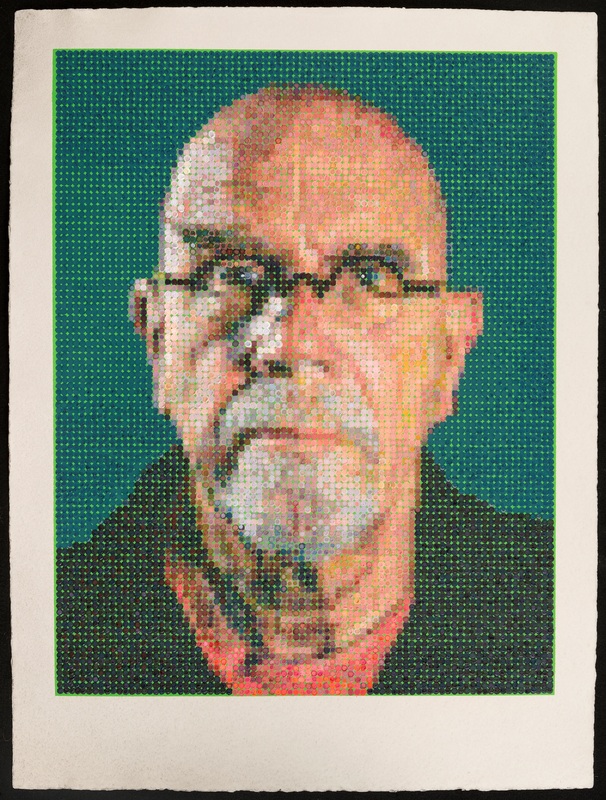 American artist, Chuck Close (born 1940 in Monroe, Washington), is one of the top names associated with both Pop Art and Photo-Realism. 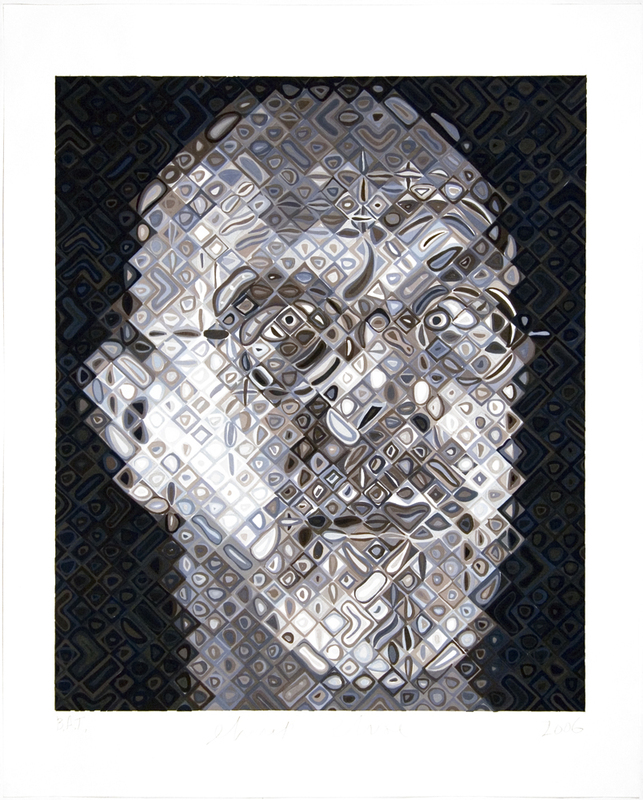 He is known for his black and white grid face portraits, "heads" of people's faces that are not idealized, and since the late 1960s has been a mainstay of the contemporary art scene. 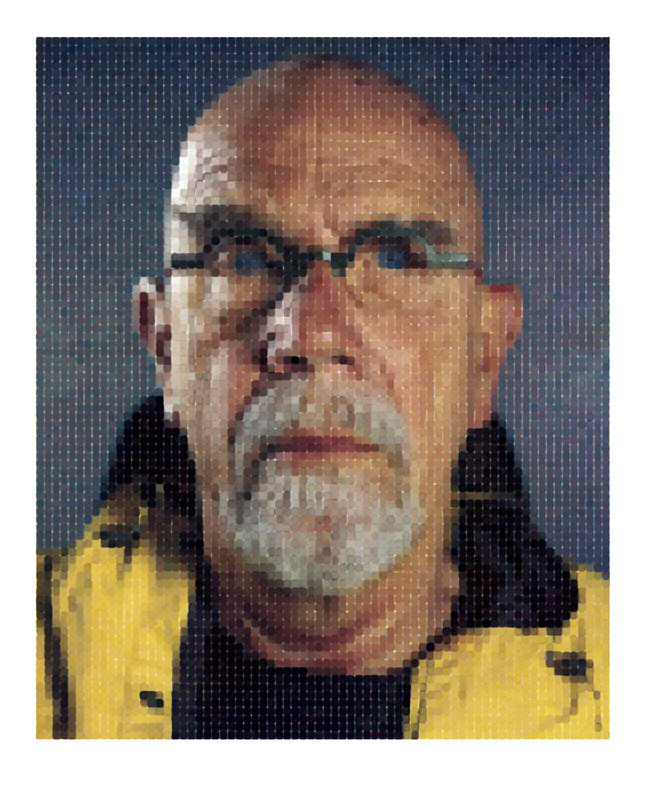 Born in Monroe, Washington, Chuck Close is one of the top names associated with both Pop Art and Photo-Realism. 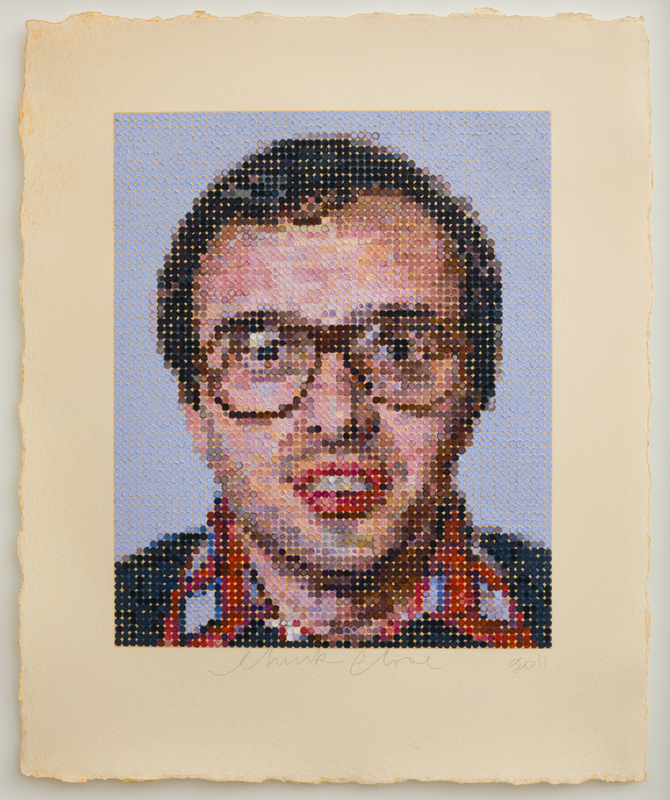 He is known for his black and white grid face portraits, "heads" of people's faces that are not idealized, and since the late 1960s has been a mainstay of the contemporary art scene. He earned B.F.A. and M.F.A. degrees with highest honors from Yale University and spent 1964 to 1965 in Austria on a Fulbright Scholarship. He taught briefly at the University of Massachusetts at Amherst, and in 1967 moved to New York where to 1971 he taught at the School of Visual Arts. He married Leslie Rose, a landscape historian, and they have daughters, Georgia and Maggie. Close became an admirer of Abstract Expressionists Mark Rothco, Jackson Pollock, and especially Willem de Kooning, but decided he could only do weak impersonations of their work. 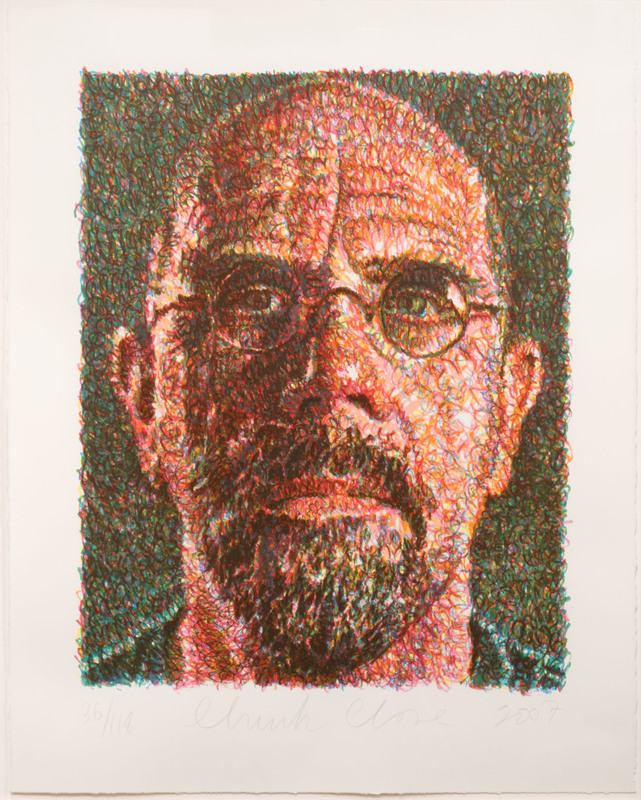 He followed his own desire to make original forms, to paint people the way a camera sees them, and he became the only one of his New York abstract artist circle using realistic images. At first, he rejected color and the sensual qualities of paint and restricted himself to minimal elements of diluted black water-based acrylic paint, systematically applying it square by square to a grid. He based his work on photos he took of himself and his friends and would identify the painting only by the first name of the sitter. 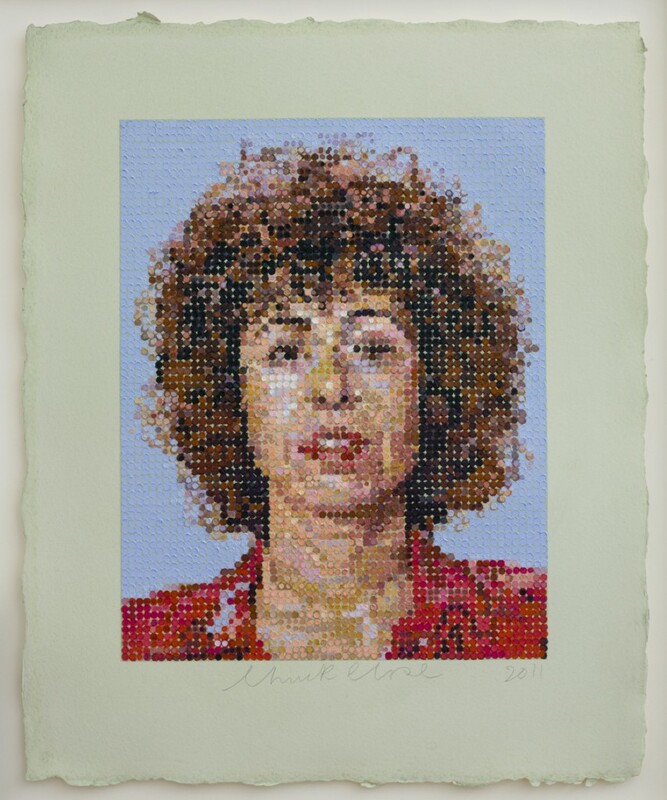 In the 1970s, he experimented with collage and color, airbrushing acrylic paint and simulating the mechanical process of color-photo printing. In 1988, he suffered the collapse of a blood vessel in his spinal column, which left him paralyzed from the waist down and confined him to a wheelchair. But within a year, he resumed painting with brushes strapped to his right hand. 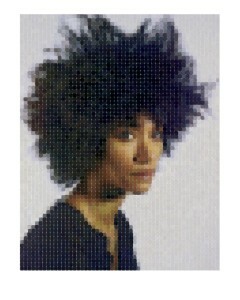 He brings his subjects to his photo studio in SoHo where he makes large polaroids and then has an assistant place clear acetate and draws a grid. He works from the upper left corner systematically across the surface. He is a strong family man who tries to avoid celebrity status and celebrity portraits. He is adamant about keeping his work affordable for ordinary collectors. 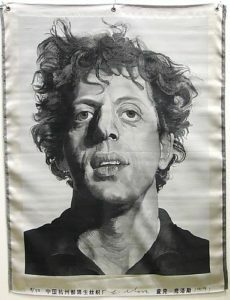 His first retrospective was in 1981 at the Walker Art Center in Minneapolis, and in 1998, another one was held at the Museum of Modern Art in New York.